With technology constantly progressing, the future of food and beverage preparation will not only be cooler, but smarter as well. 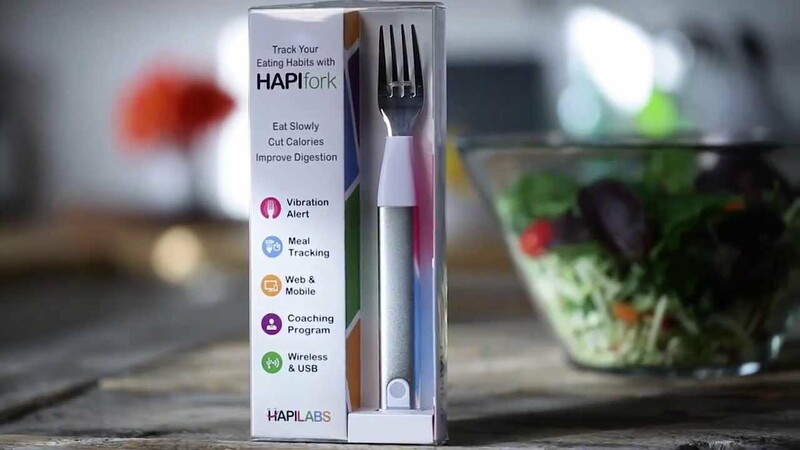 From smart frying pans to dining utensils that track your eating patterns, there are so many innovations being made to optimize the kitchen and dining experience. With that in mind, we put together a list of 5 kitchen products that will make your life easier. The amount of "fork servings" taken per minute. You can now brew a pot of coffee anywhere in your home, without actually being infront of the coffee maker. 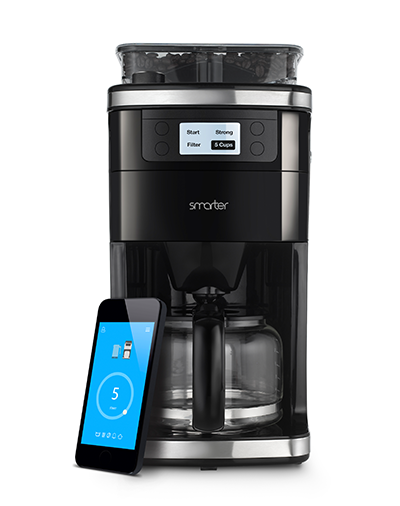 With a single tap of a button in the coffee machine's mobile app, you can have a fresh brewed pot of coffee waiting for you when you roll out of bed in the morning. You can also schedule out when the coffee is brewed, set alarms, and adjust the strength and amount of coffee being brewed. 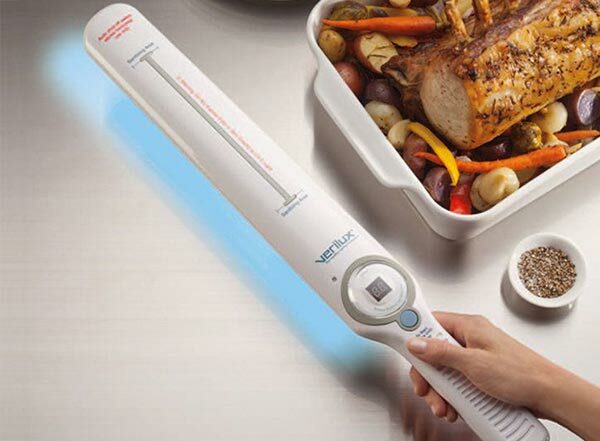 This UV-C lightwand kills up to 99.9% of germs, allergens, and odor causing bacterias on hard surfaces. This chemical free product uses powerful ultra violet light to sanitize surfaces such as kitchen countertops, refrigerators, and stove tops. The wand is battery powered and includes a built-in timer to control exposure times. This 12 inch frying pan comes equipped with a temperature sensor and built-in Bluetooth in handle. Pull up any recipe on the Pantelligent app, and it will walk you through the whole cooking process. 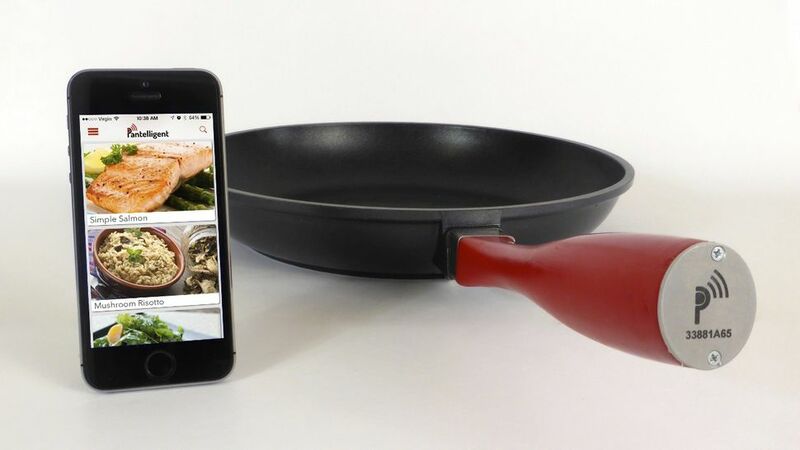 Everything from adding ingredients and adjusting temperature, to telling you when your food is ready to be flipped-- the Pantellifent frying pan has you covered. This is a great invention for beginner chefs-- a digital sous chef connected to your frying pan. Miito is an efficient and practical alternative to the every day kettle. It 's designed to reduce the amount of excess water and energry used to heat up liquids. Whether you choose to heat up water, coffee, tea, soup, etc., Miito will heat up the liquid in the vessel of your choice. 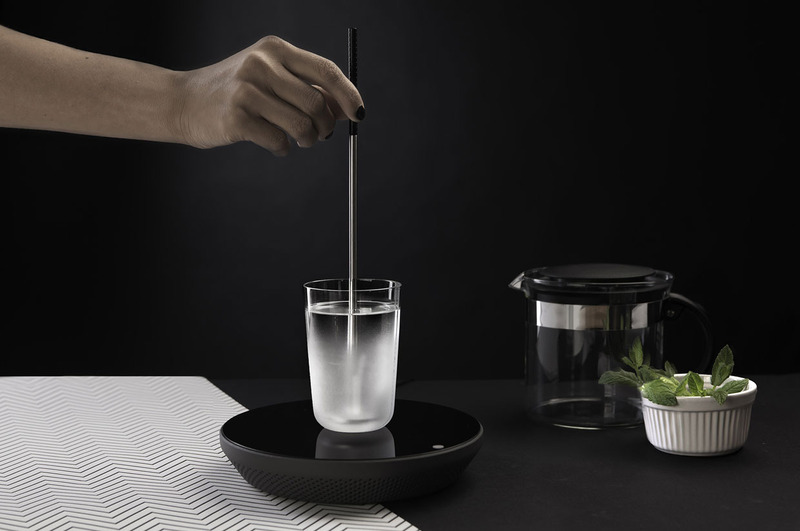 To use the Miito, simply place the container of liquid on the induction plate and immerse the metal rod in the liquid. This creates an electromagnetic field. The rod then heats up and transfers heat directly to the liquid.